We are in Europe ! No more stress with the overflight clearances and landing permits. From now on an International Flight Plan is all we need to cross the country borders within the European Community. We nearly forgot how pleasant it was to fly VFR without all the bureaucracy we had to face in the past few weeks. The airport fees and handling charges have also lost a zero or two, that is also pleasant ! In Athens, they even tell us that we don’t need to pay now, they will send us the invoice, confidence is back. Our stay in Athens will be very short, only a few hours. We will stay at the Airport Sofitel as the city is 1 hour away by taxi. After 4-5 hours sleep, we get a wake up call at 04h30. 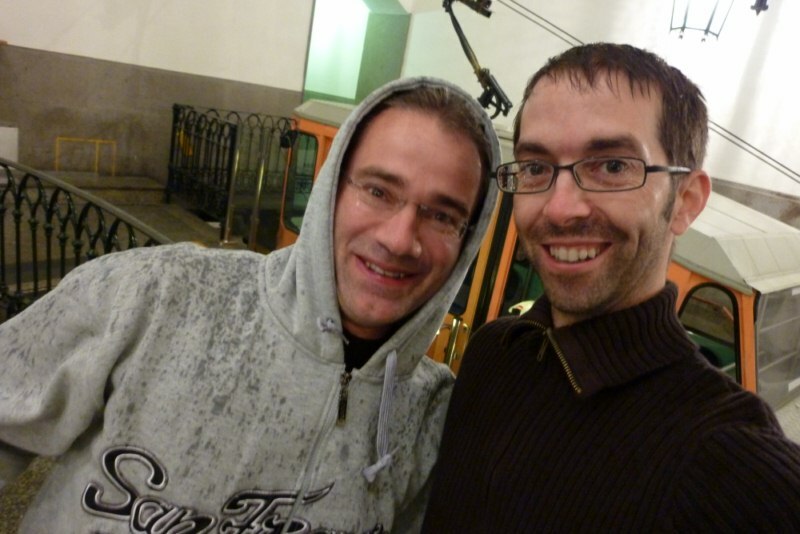 Our motivation is at its highest, tonight the Swiss Alps will be very close. As we taxy down to runway 03L, we are joined by an Airbus A320 of Swiss International Airlines, maybe another sign that we are getting closer to home. 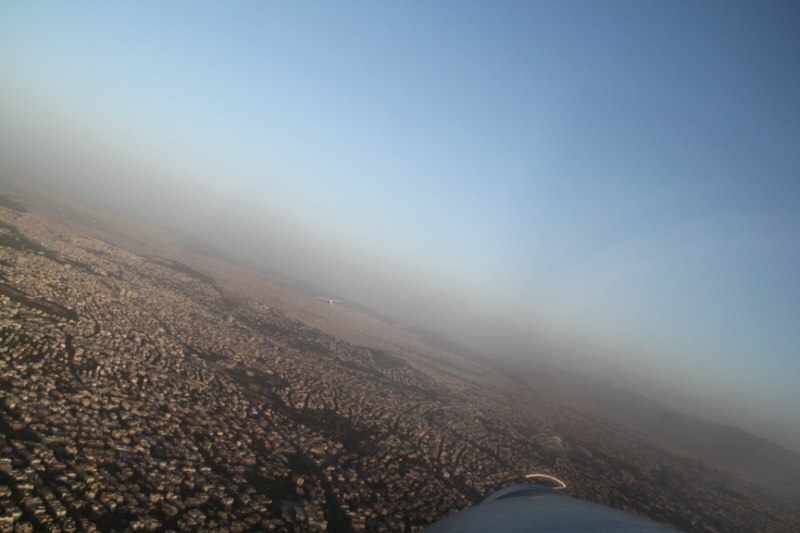 The control tower clears us for a takeoff in formation and to fly over the city of Athens. It’s magic, the sun illuminates the white buildings and houses of Athens. 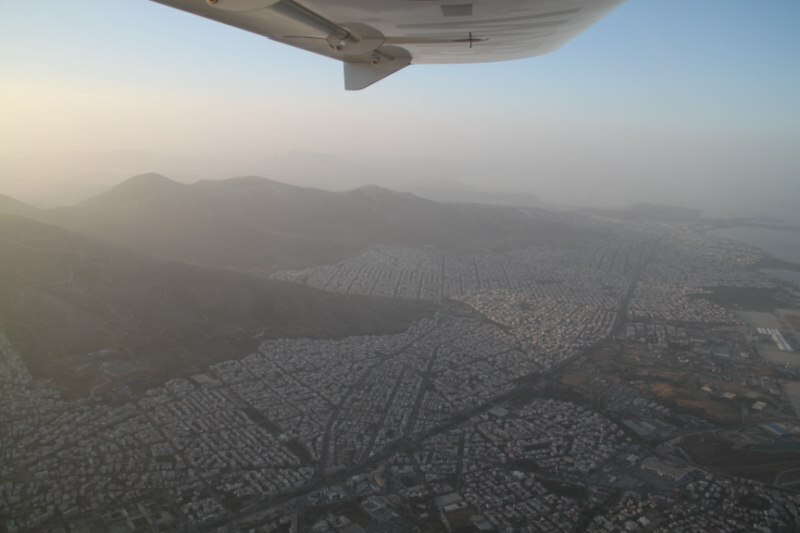 We fly over the Acropolis, we are going back into history. We set the course towards the west and re-discover the beauty of the Greek islands. 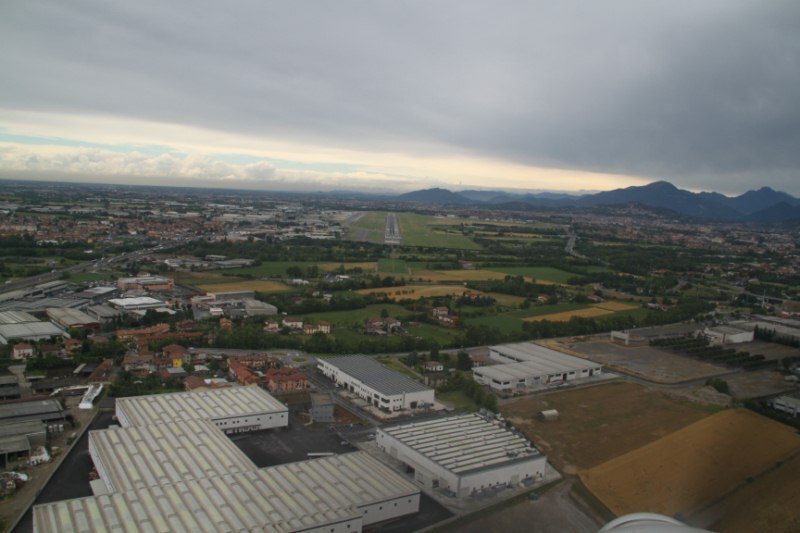 We start to see Italy and we fly along the east coast at low altitude. Time goes by fast and after an 8 hours flight we land in Bergamo. It may seem like another long flight but it is actually the shortest one we have done in the past 4 weeks. Tomorrow, we will take a day off in Bergamo in order to be ready for the arrival in Sion on Saturday. But for now, I have to shut down the computer, a glass of Barolo wine and fresh pasta are waiting for us.. Buon appetito and see you on Saturday !